We all know Morzine is an absolute banger of a destination for riding Downhill bikes, drinking beers and lapping up the high Alpine air and this looks set to continue well into the future. This old farming town nestled in the Northern French Alps is once again growing rapidly with more tourists visiting each year, new trails, new facilities and some huge events such as Crankworx coming to town. With enduro being one of the fasted growing disciplines in mountain biking, enduro loops are popping up all around Morzine. Many of them can be accessed by lift to allow for small climbing with the same epic descents. Alongside the Passportes event where 5000 riders decend on Morzine during the last weekend of June to ride the 80km loop there are many more trails tucked away. One of the Enduro loops, the Tour de Plateau de Loex starts in Les Gets accessed via the Nauchettes lift and brings you back down into Les gets Village. Marked (F) on the map, this is a 14km loop with an 800 M vertical drop and some decent climbing. Single track, loam, roots, rivers and epic views of MT Blanc all play a part in this awesome trail that takes you away from the main bike park, there many other section that shoot off the main trail, the most famous being Colorado, get your strava out. Morzine has always been known for it's savage Downhill trails and the Pleney takes the crown for this as some of the local tracks on that hill are for want of a better word f*****g crazy. Steep, steep gullies, roots more mangled than the Amazon and step downs that scare the bejesus out of you the Pleney secret trails are not for the faint hearted. 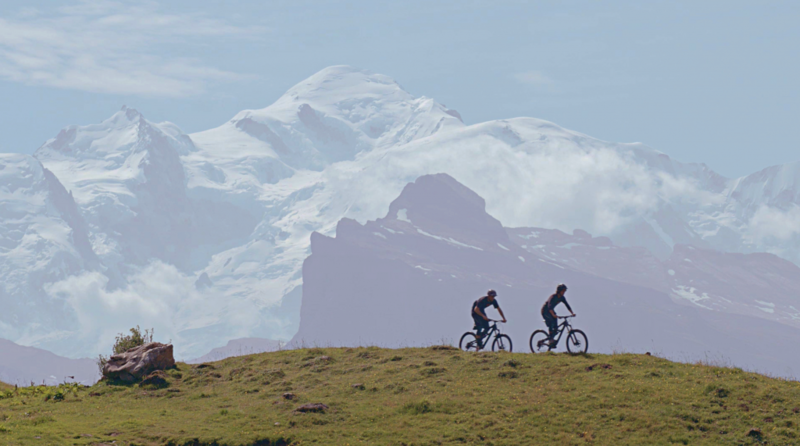 Yet this is exactly what brings those seasoned Morzine holiday makers back year on year, that and the 600km of trails spread across 2 countries connecting 12 resorts with 50 official downhill trails and Enduro loops over 80km in length. Another epic Enduro loop which will take a good portion of your day is the Col du Cou, or as it’s also known Salmon ridge. This one is best accessed from dropping down into Les Crossets on the Swiss side and following the fire track around the foot of the hill until you start climbing. This is a 48km loop with a 1700 M change in altitude. 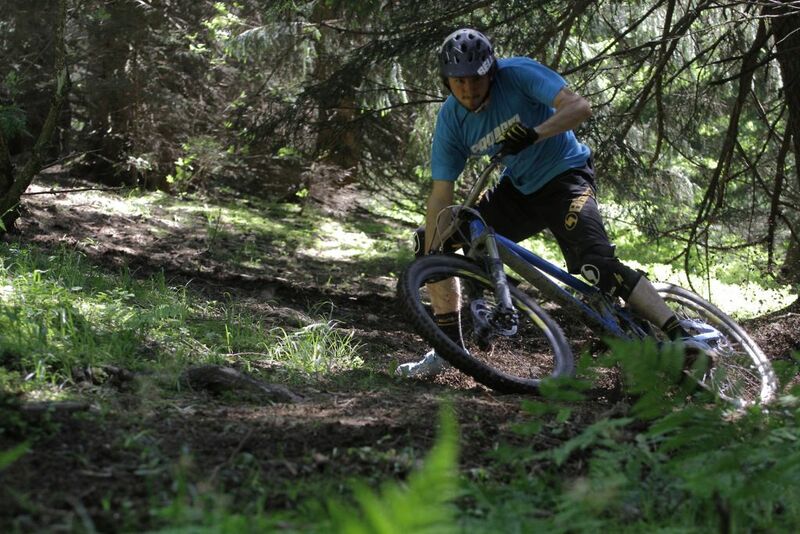 If it’s Enduro you are after Morzine certainly caters for that type of riding you just have to work a little for it. Crankworx came into Les gets for the first time in 2016 after Les Deux Alps contract finished, Les Gets worked flat out on the Slopestyle course, pump track, dual slalmon and the Downhill track on Mt Chery and it was all looking awesome with the chat about the pits that the DH track was on of the best built in years. Here’s looking forward to the 2017 event and some dry weather, Crankworx Les Gets is on from the 14-18th June. Riding bikes is what brings people to Morzine and new developments like from the new high speed Pleney lift, multiple new tracks on Super Morzine and the Pleney and the pump track in town are all adding to the appeal of the resort. 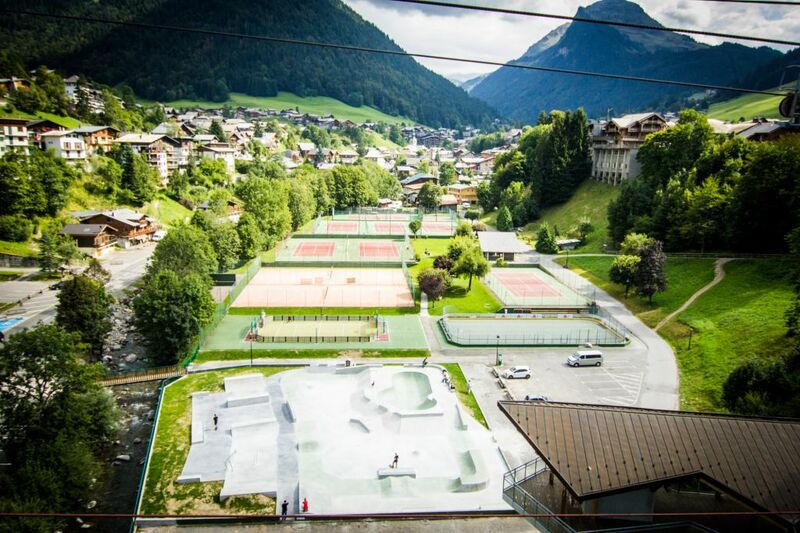 But bikes are not the only activity on offer these days, there is money going into developing Morzine all over the place, just check out the new skate park in the center of town. The skate park was finished in at the end of 2015 and has proved very popular with the Morzine locals and tourists alike. Be it little rippers on their BMX's or the old school skateboard crew there is always someone down there, drinking a stubby doing some power slides, check it out. 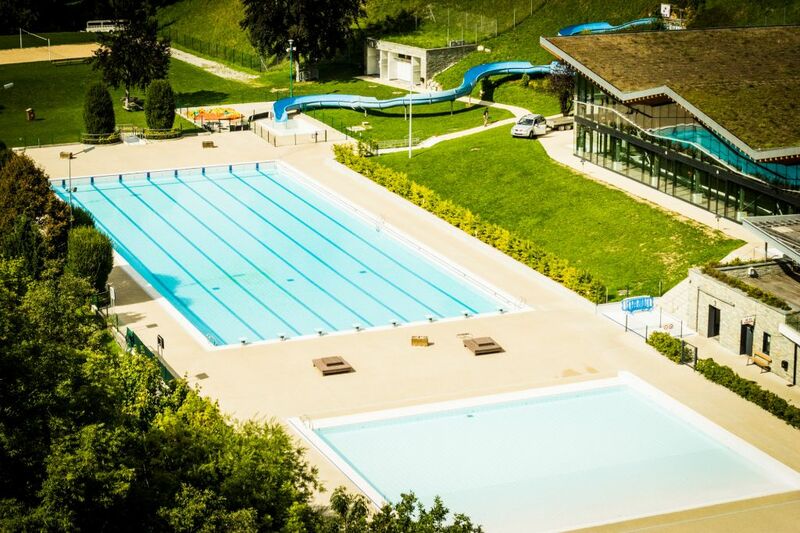 There is also a new indoor Olympic size swimming pool and Spa area so something for the ladies or fellas to soak those bruised muscles in after a serious ride. The list goes on and includes white water rafting, paragliding and climbing to name a few.